What you can achieve for the lawn in February is very much weather dependent and the earlier forecasts of very cold weather have evolved into a much milder month than expected. If it’s not too wet where you are and you’re planning a new lawn area then laying turf will be your best route at this time of the year. The best advice when preparing and laying a new lawn, if you have not done it before, is to buy a good book and follow all the stages carefully. 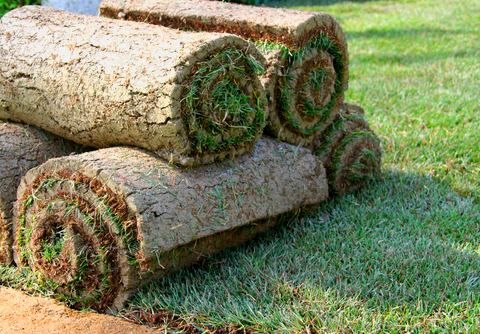 The disadvantage of turf compared to seed is that good turves can be expensive but it’s worth buying from a reputable supplier and buying the best quality you can afford to save heartache later. Let’s assume you have not grown vegetables before. February into spring is a good time to prepare your seed bed, providing the soil is workable. Walk over the area and if the soil sticks to your boots it’s still too wet. If you were able in the autumn and over winter to dig the plot, spread compost then dig a series of trenches, bringing the soil from the first trench over to the last and so on, you’re ready for the next stage. 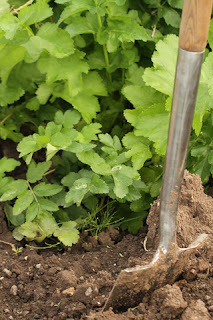 Your job now is to break down the clods brought up from the winter digging and then apply a dressing of fertiliser and work it into the soil to avoid scorching the roots of germinating seed.